and passion of those who love to write. Turning points are key parts of every story; in memoir and creative non-fiction essays as well as in short stories, novels and screenplays. The turning points are the moments of discovery and surprise for writers and readers alike. This might be the moment a character makes a decision, or the two lovers meet for the first time, the moment a vital clue is revealed or the moment we know who the love interest is, the moment the phone finally rings or the moment the killer is caught. Your reader leaps from one of these turning points to the next, like leaping from rock to rock while crossing a stream. Together we will investigate what these moments are, what they can hold, and how to write them. We will talk about turning point moments in the books and stories we love, as well as writing some of our own! Writers of all genres and levels of experience are welcome. For more information or to register, contact Rosa. A memoir essay, also called a Creative Non-Fiction Essay, is a story from your life about something specific that happened to you, told as a detailed and vibrant story, as well as what you learned from that experience or how it changed you. It is similar to a great Blog, which follows 7 specific steps to craft posts that will keep your reader coming back again and again. In this class we will talk about these forms and how they are made and how they might be published or shared once they are done. 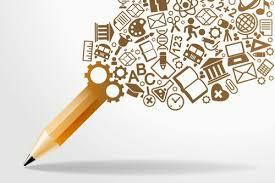 Then we will roll up our sleeves and gallop all the way through the Drafting Process, choosing a specific idea or subject or story, drafting it out and editing it into a finished Essay or Blog by the end of class!